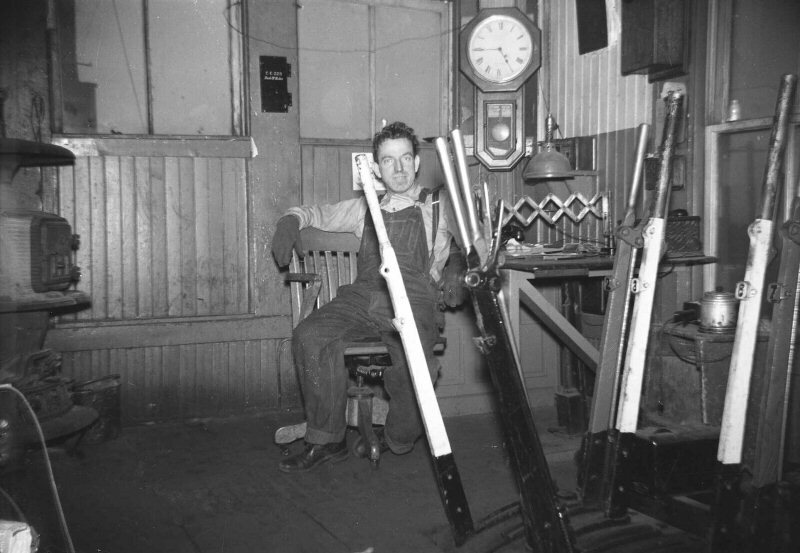 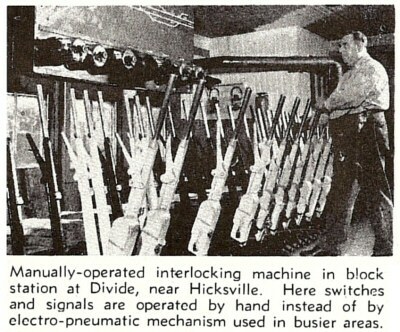 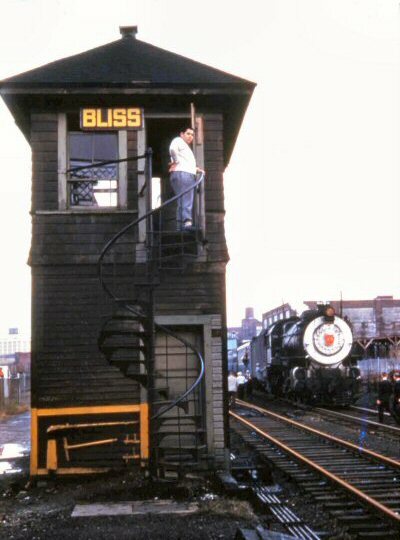 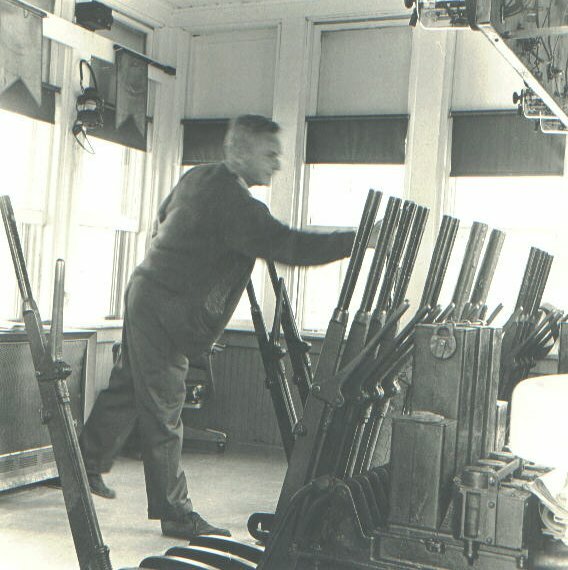 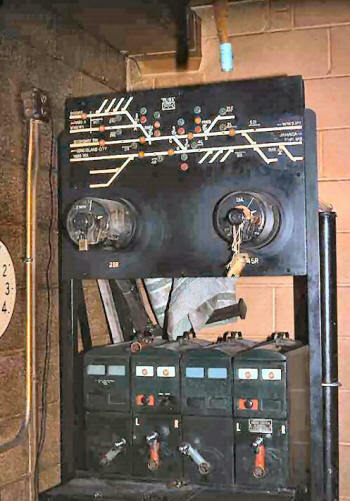 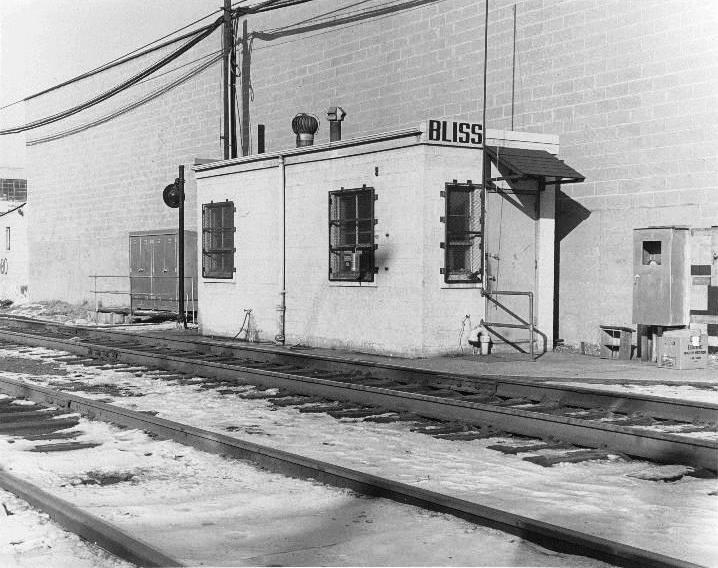 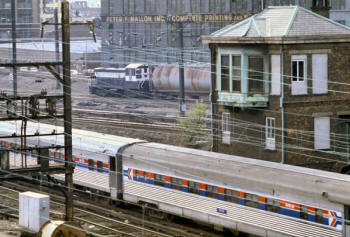 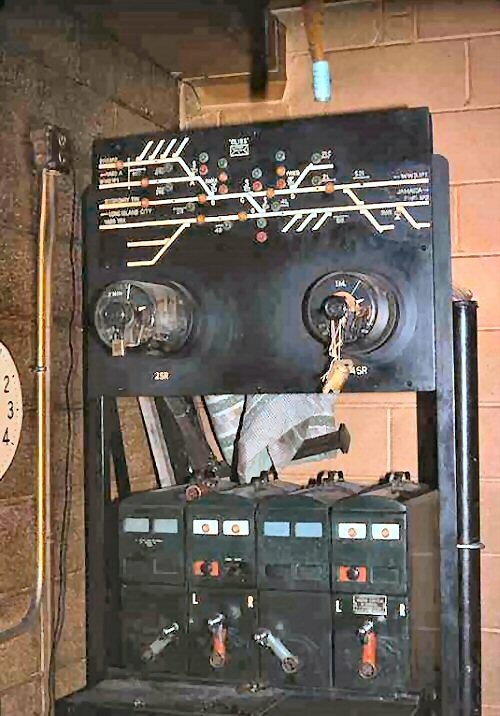 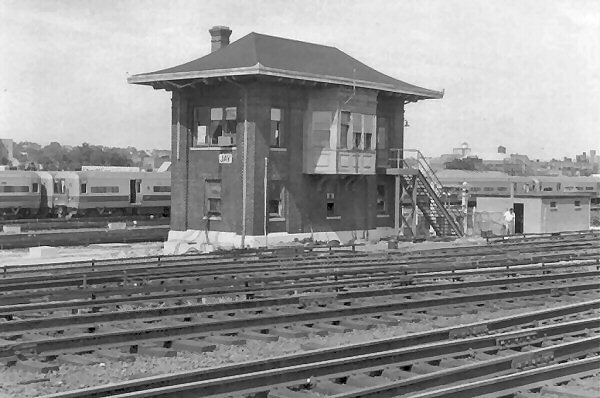 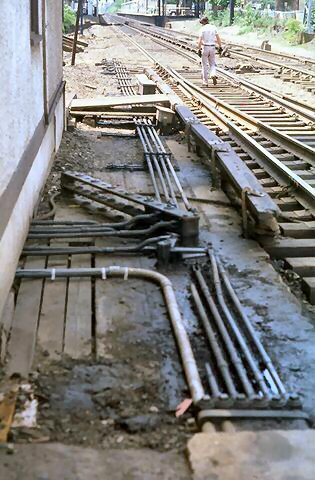 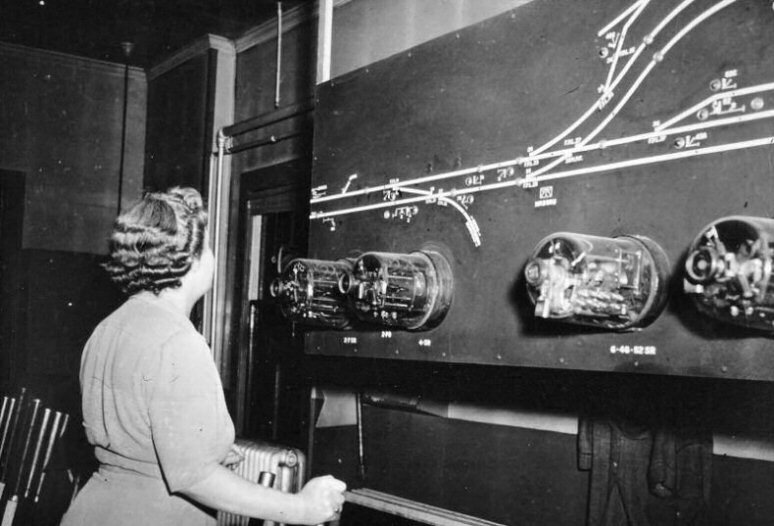 The interior shot shows what appears to be the signal maintainer sitting at the block operator's desk and the photo shot by the block operator. 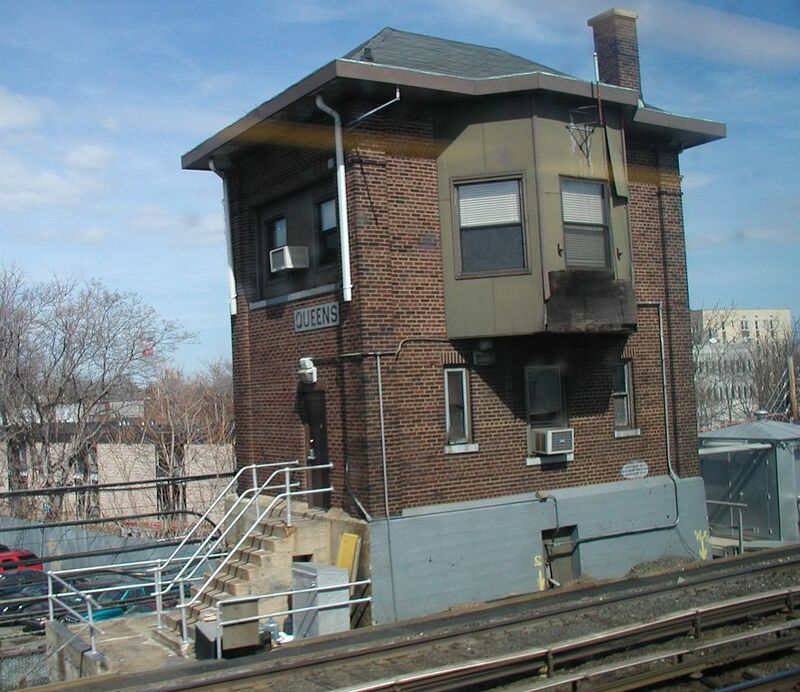 I was told by a former signal maintainer that this was a nasty, drafty tower and was full of rats. 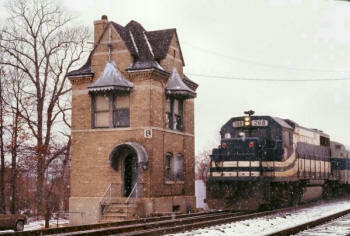 The interior condition certainly looks conducive to both. 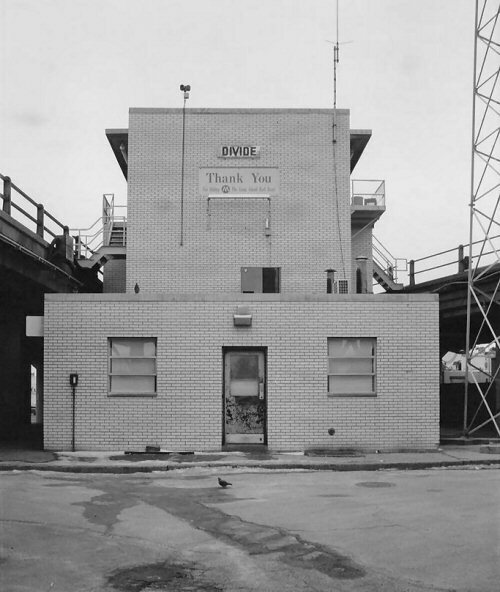 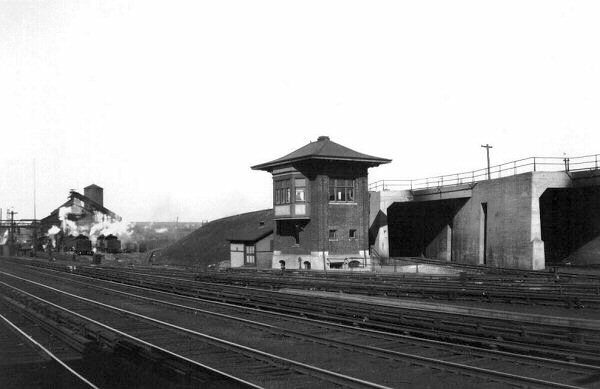 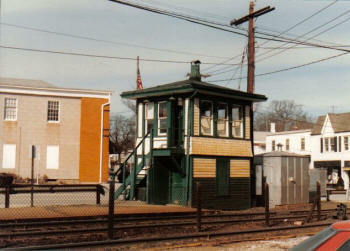 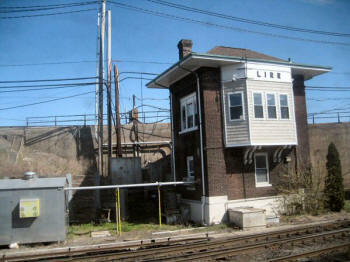 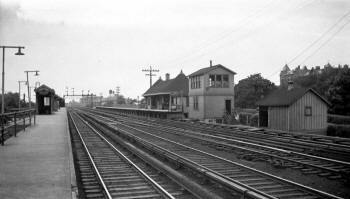 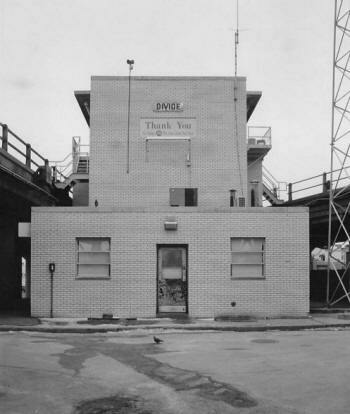 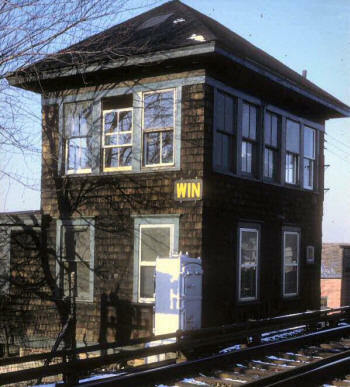 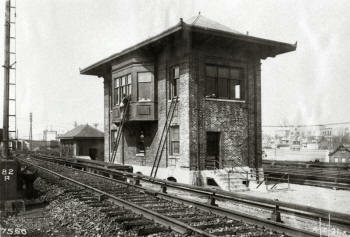 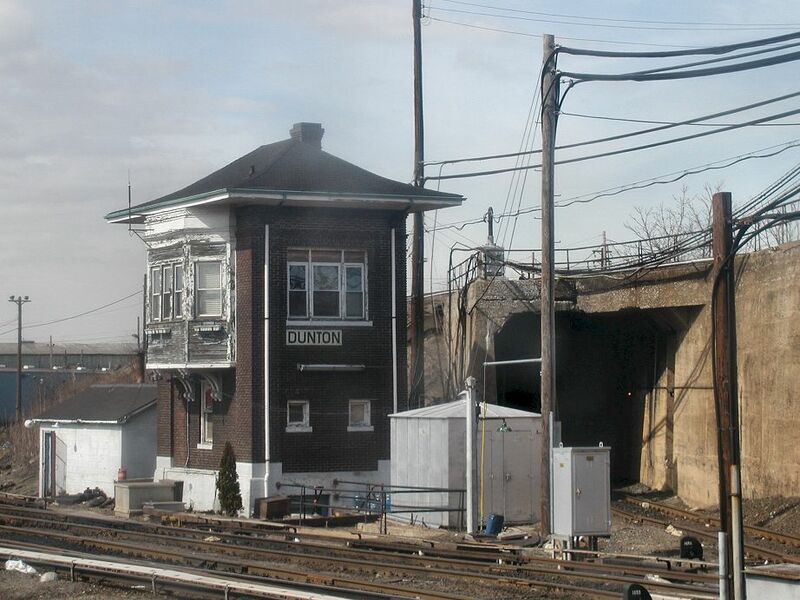 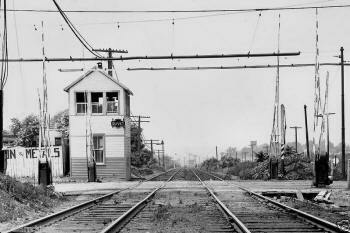 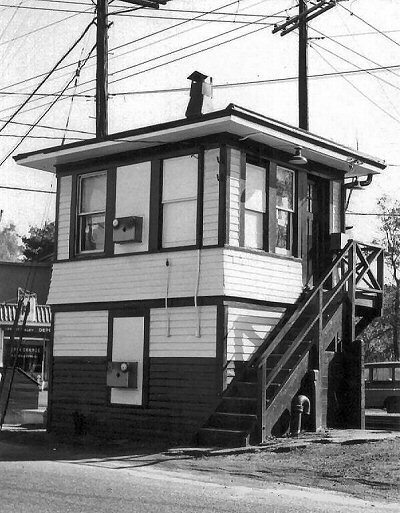 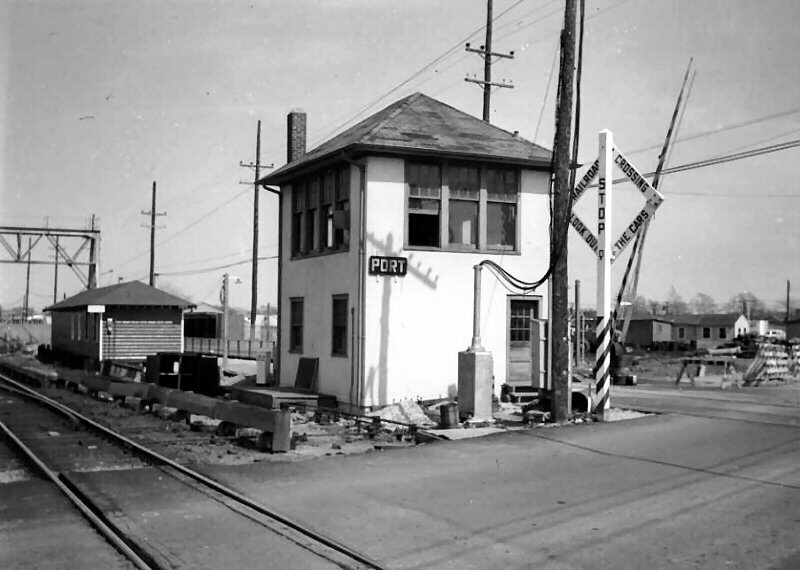 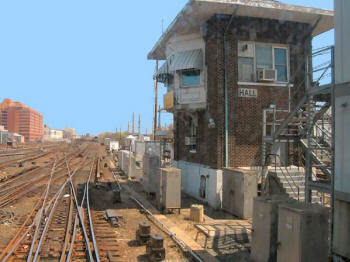 “FW” tower at the east end of Far Rockaway station (Mott Ave). View is looking east. 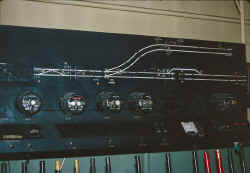 “FW” call letters in Keystone. 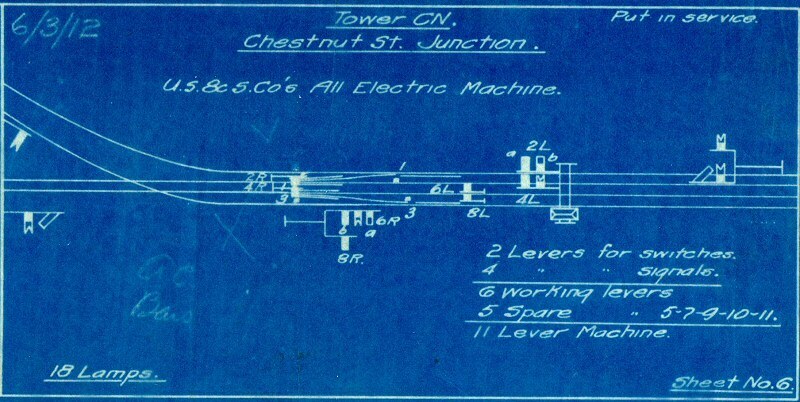 6/6/33. 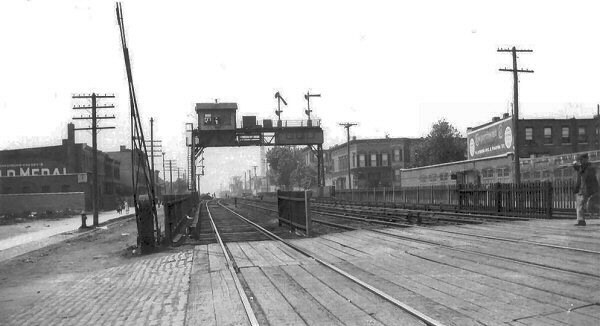 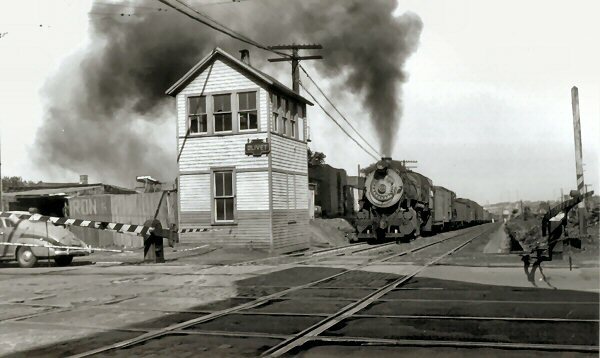 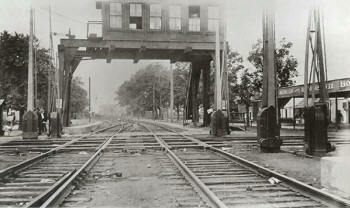 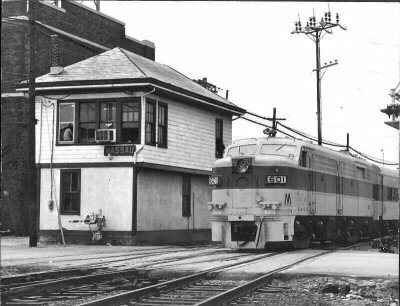 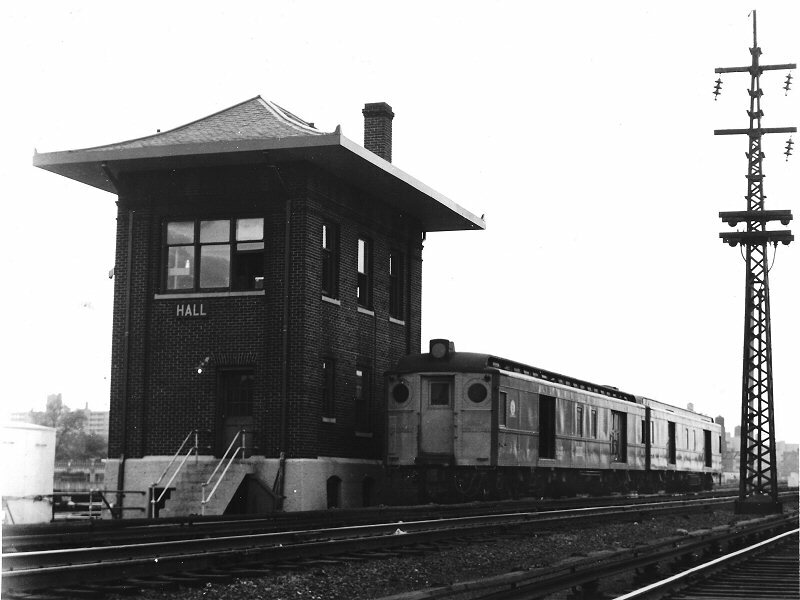 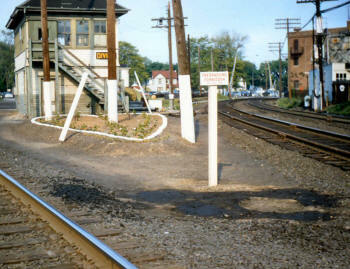 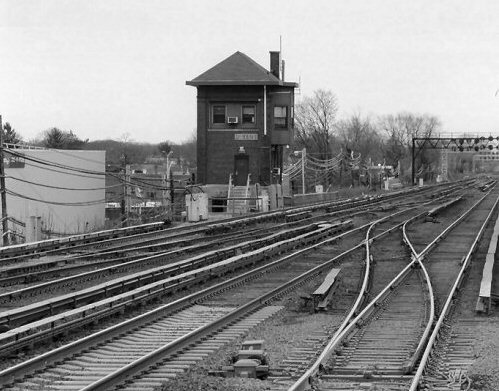 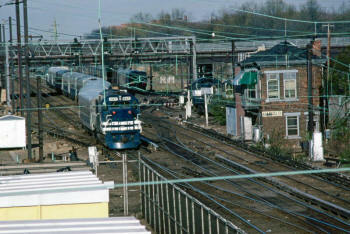 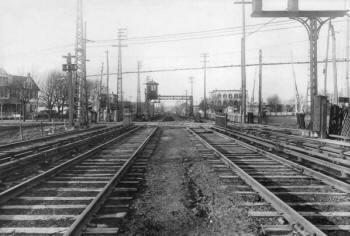 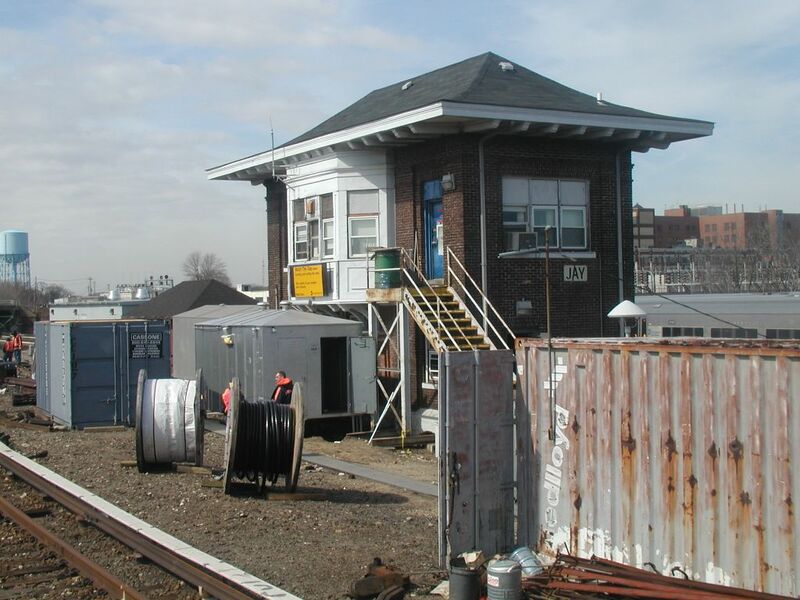 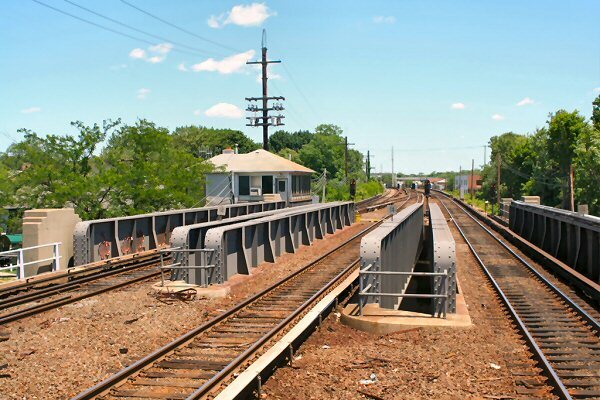 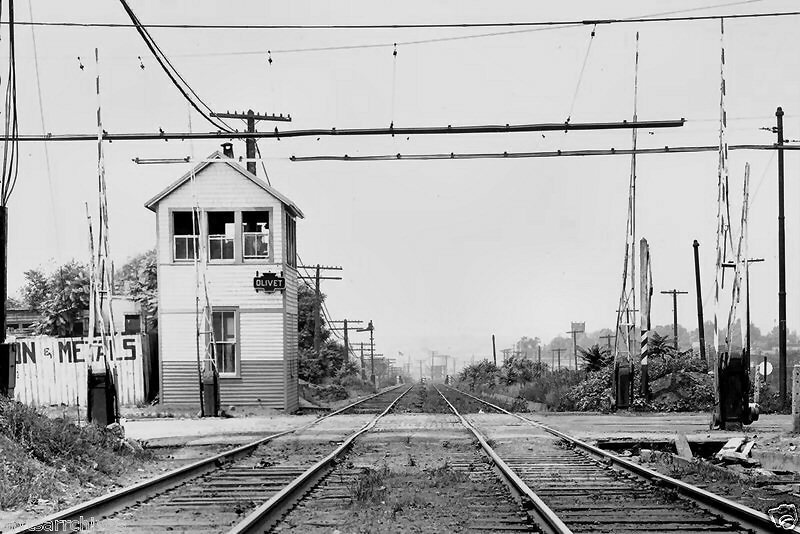 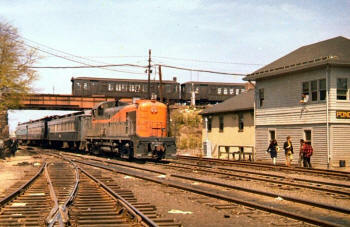 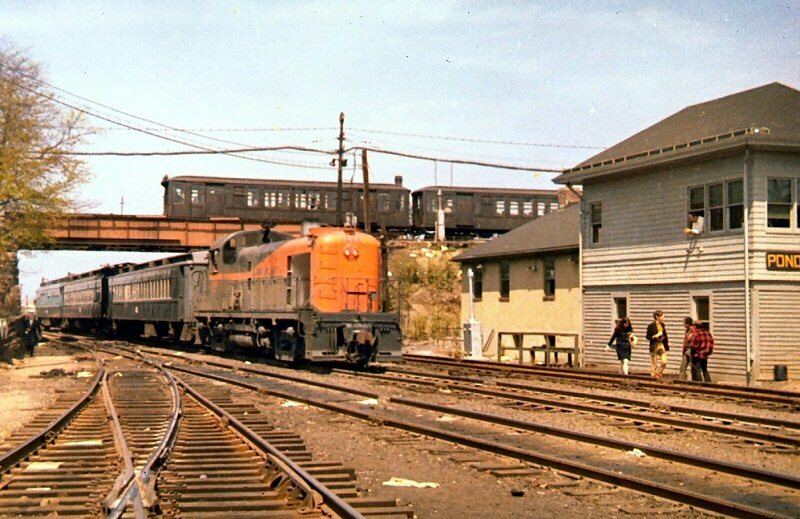 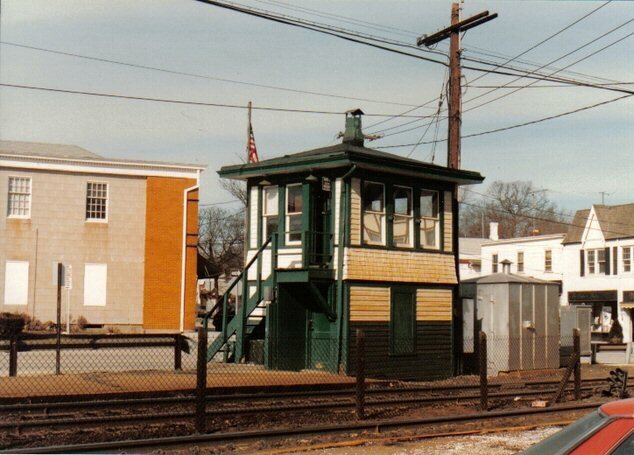 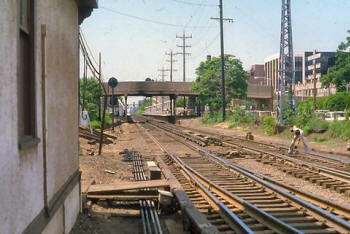 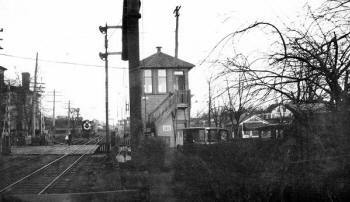 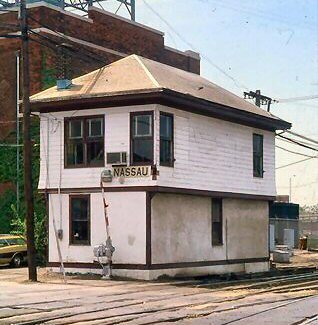 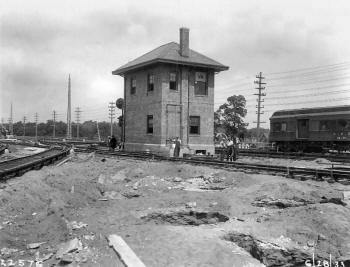 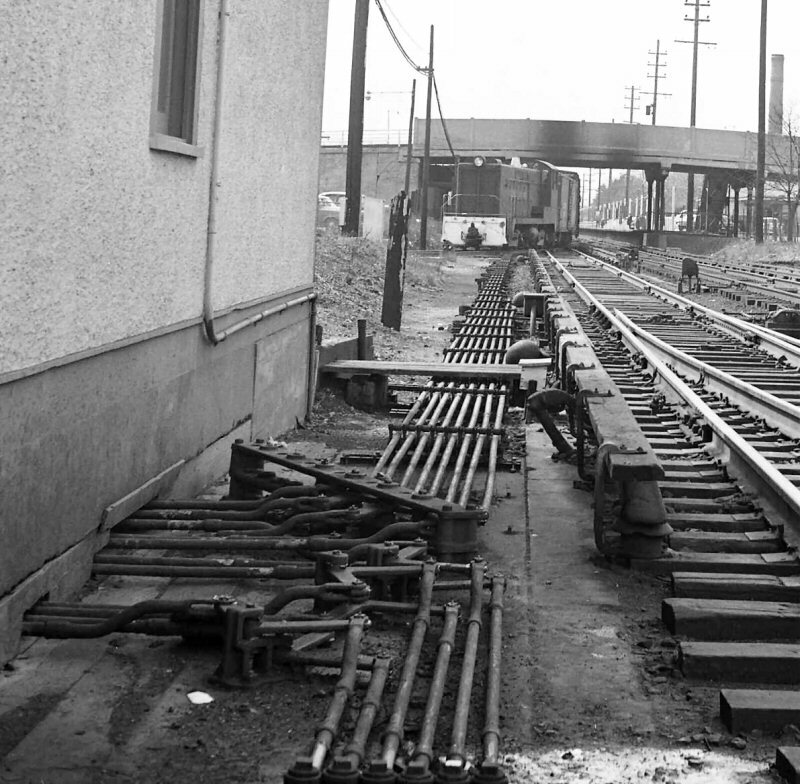 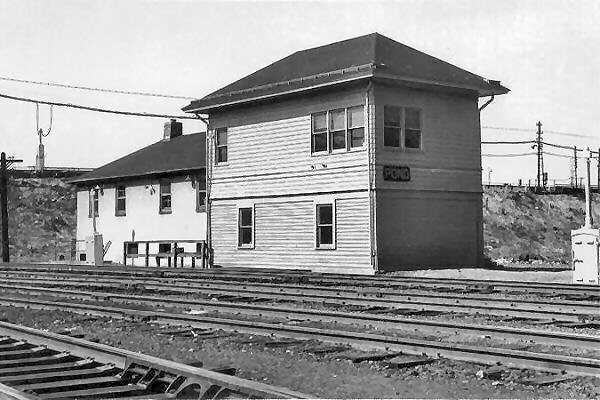 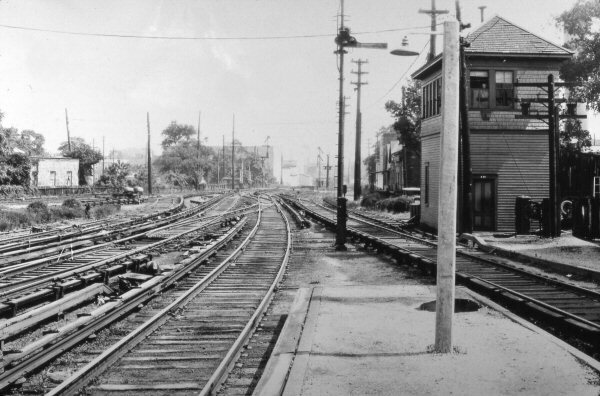 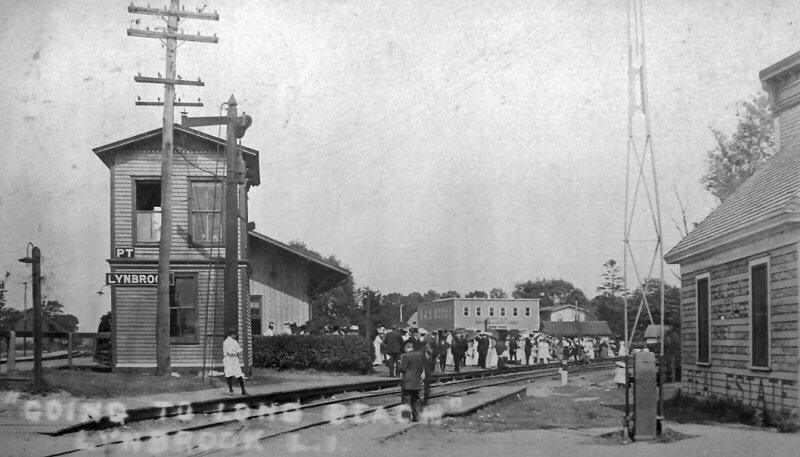 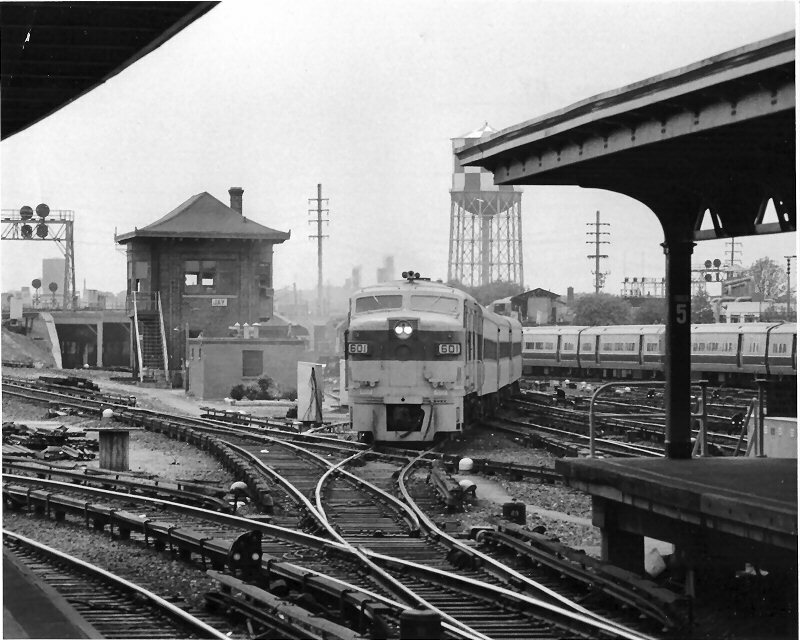 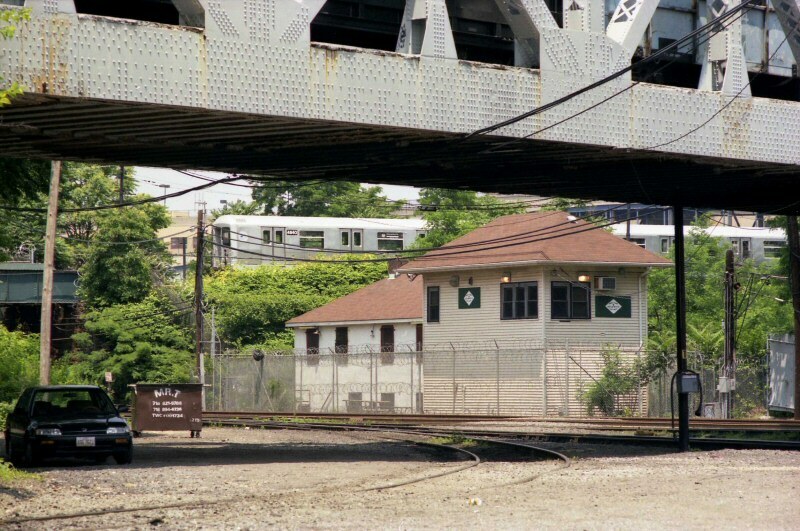 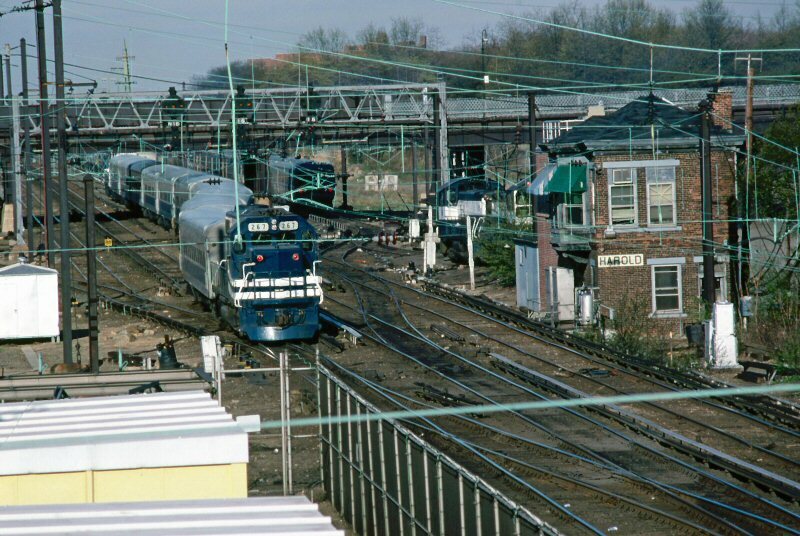 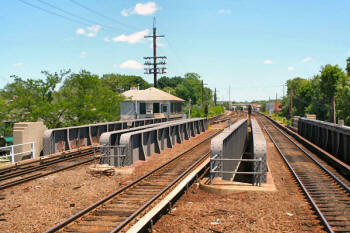 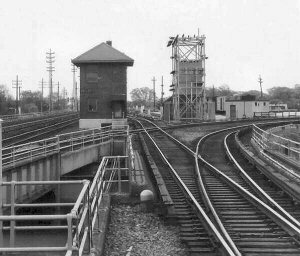 When service was ended over Jamaica Bay , and Far Rockaway was turned over to the NYCTA and the tracks severed, this was torn up and end of track relocated east to Nameoke Ave. where the depot and end of track is today. 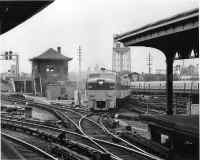 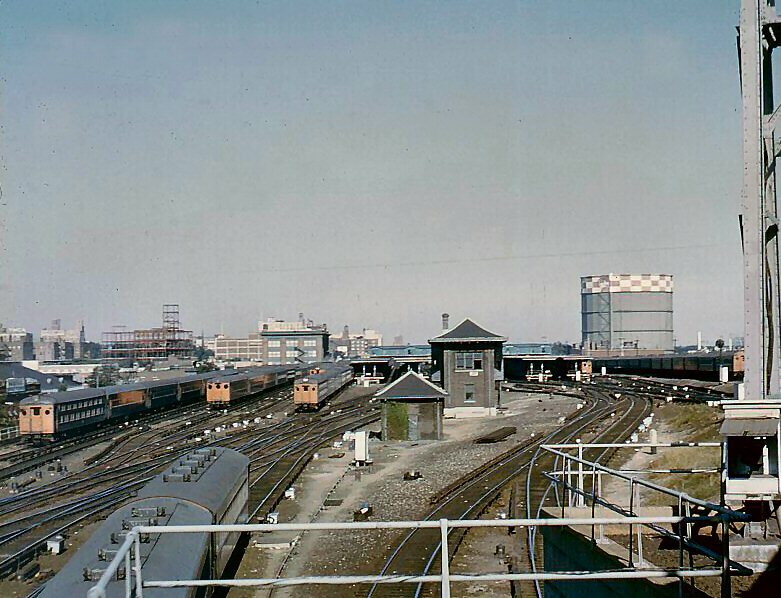 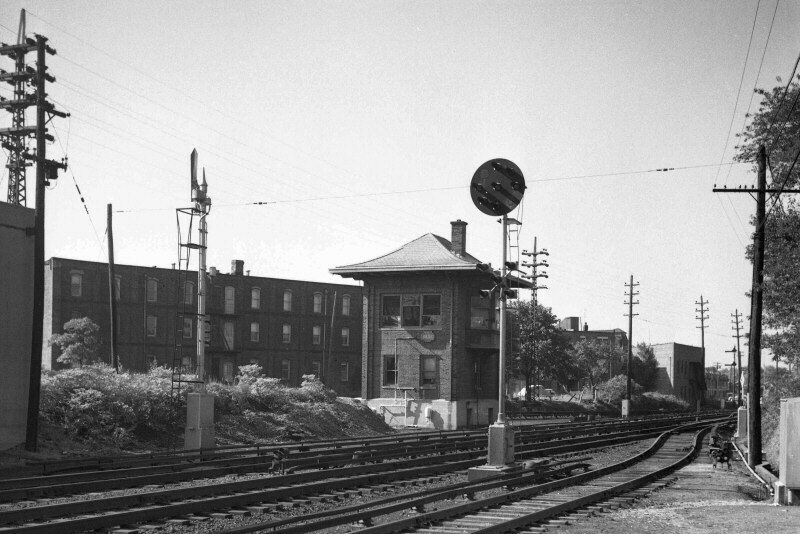 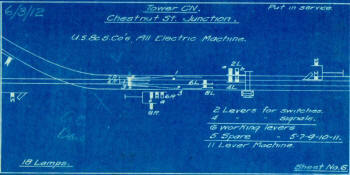 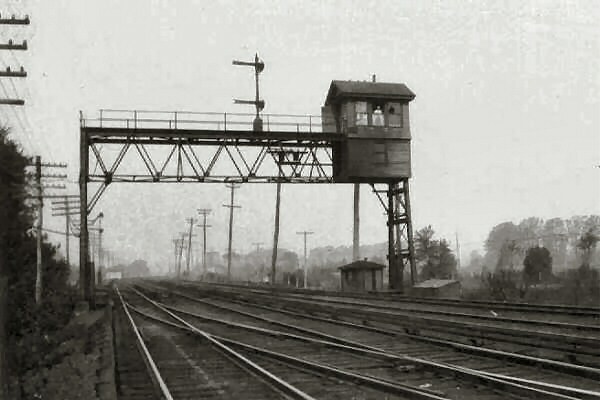 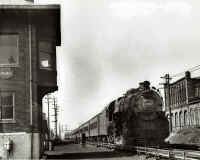 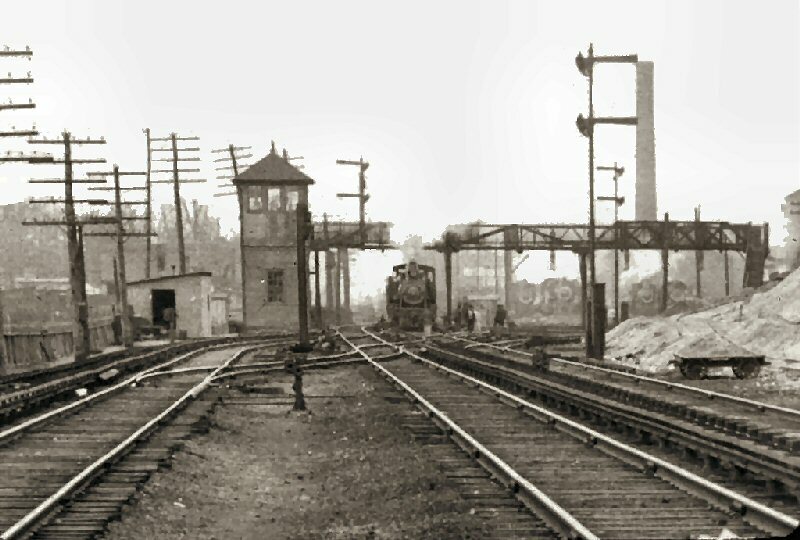 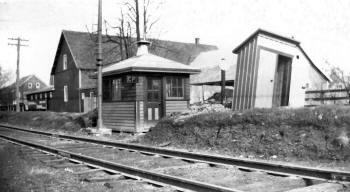 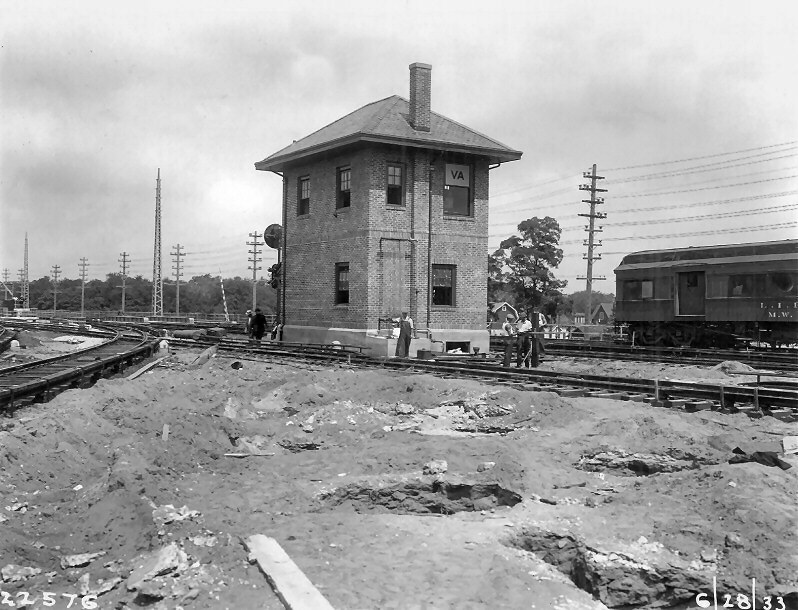 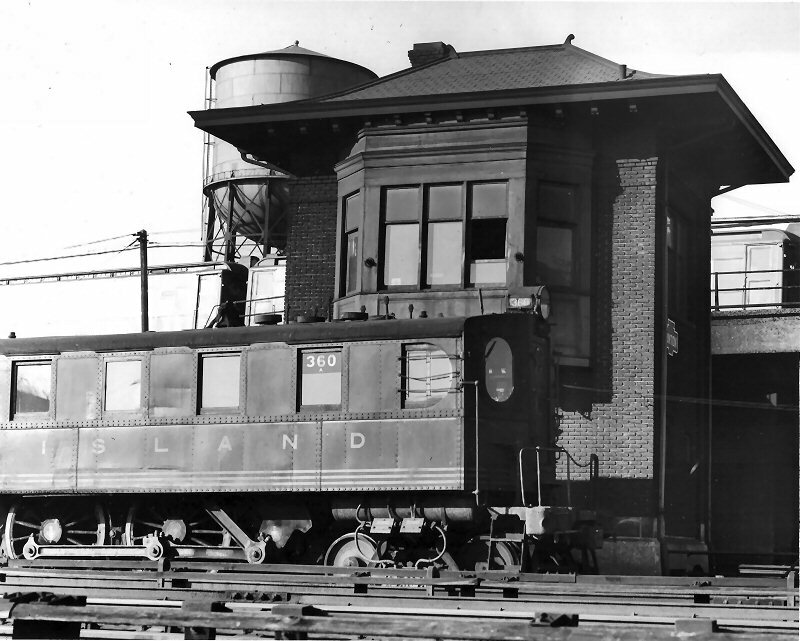 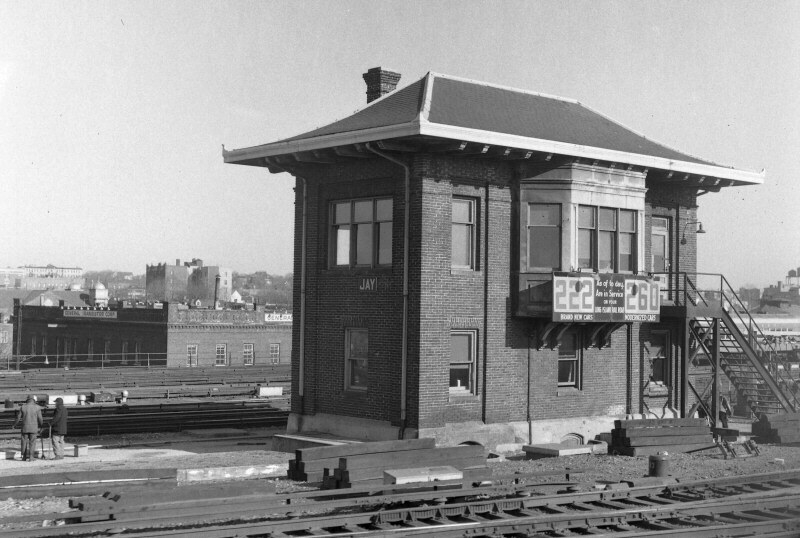 The tower was no longer needed so was demolished along with the very large depot building and trackage which was elevated through there in the early 1940s. 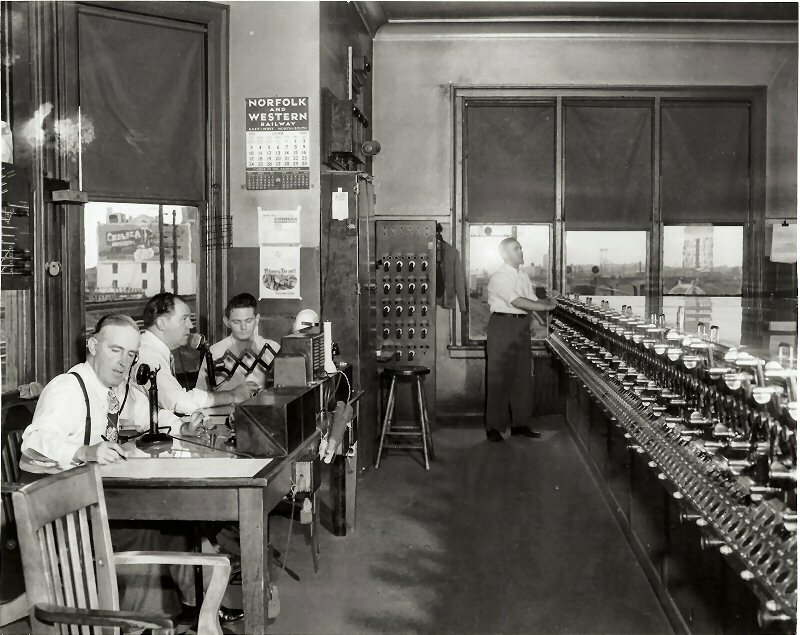 Harold is only opened in the event that PSCC goes down. 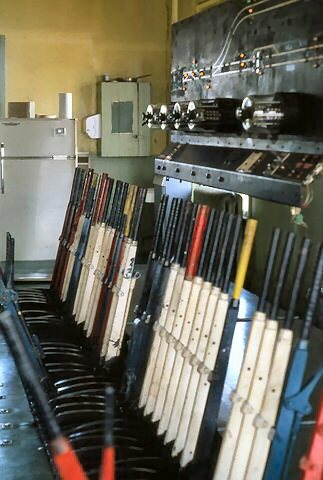 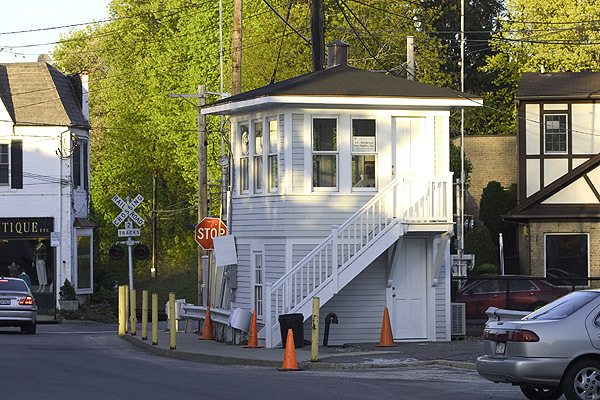 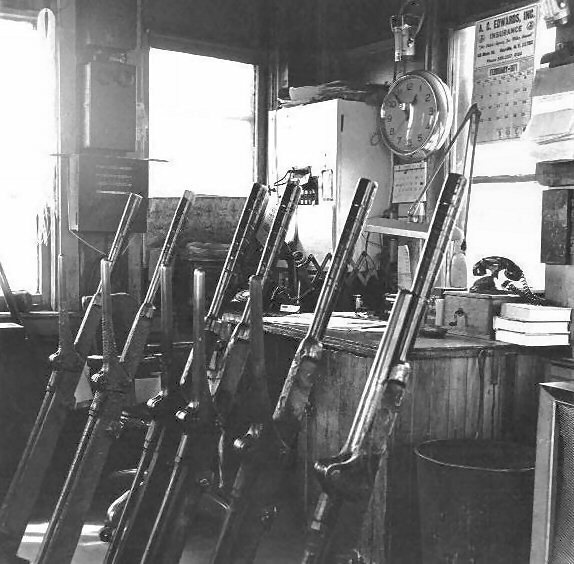 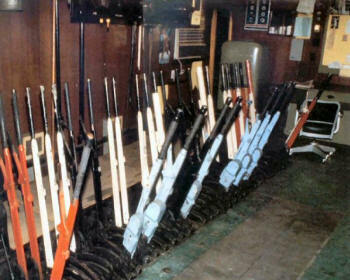 Right now it's a lounge for signalmen and trackworkers. 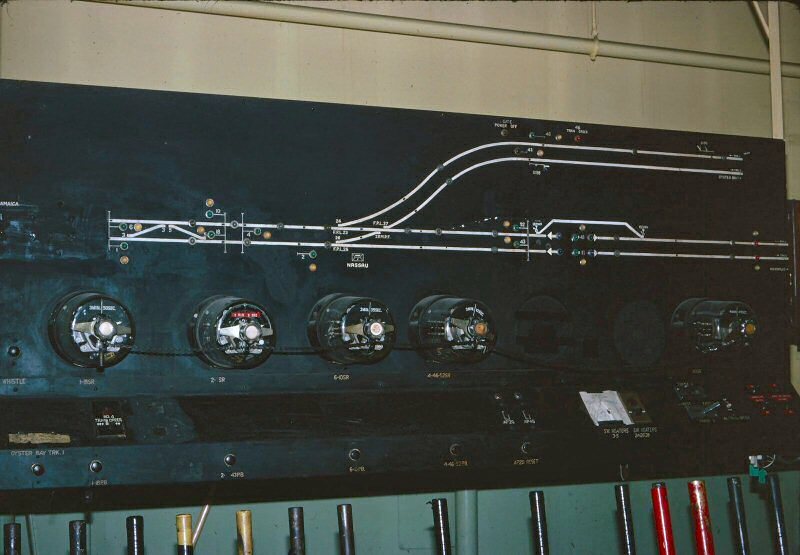 CTC is in the inevitable future, but not all towers have computer controls yet. 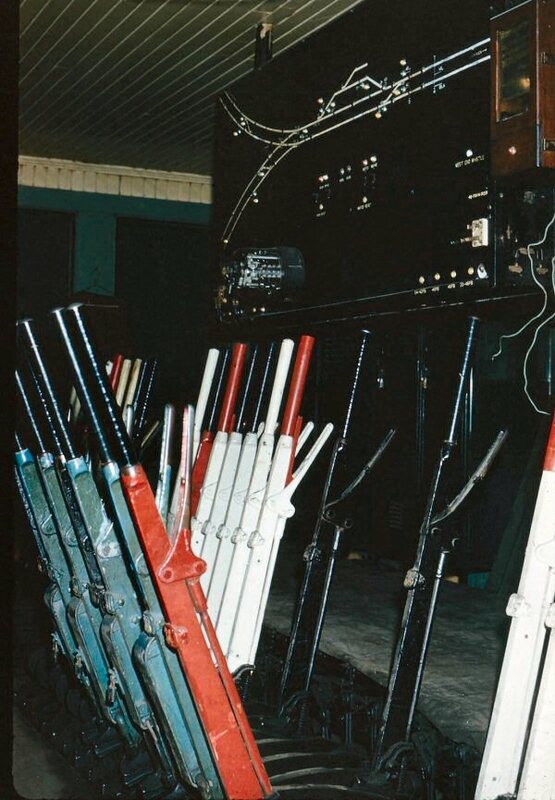 Jay, Hall and Dunton still have their Model 14s. 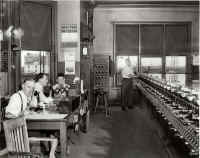 Up until recently, Queens did too, but with the interlocking work, they've switched over to computers. 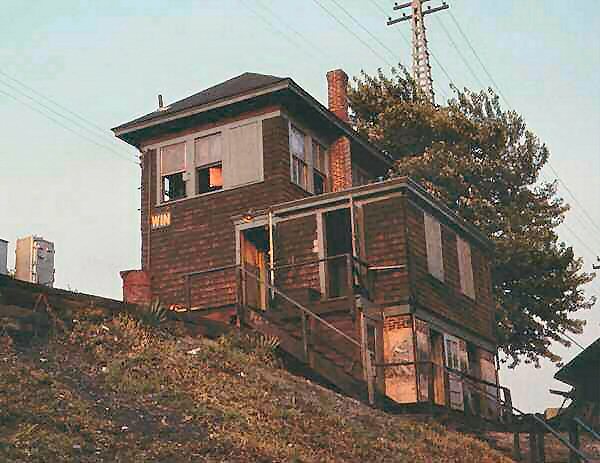 Haven't been up in Valley for some time. 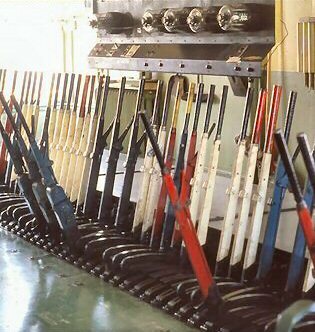 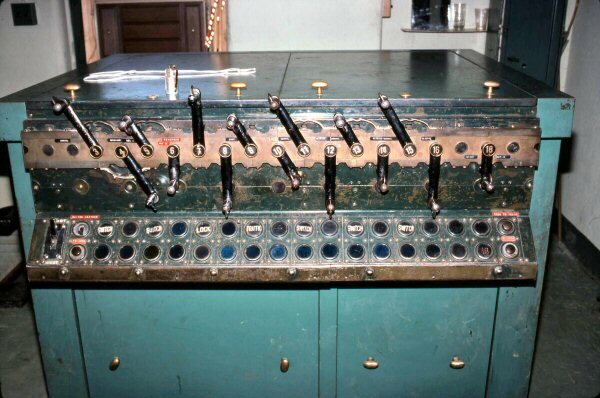 They may have a few levers left, don't know. 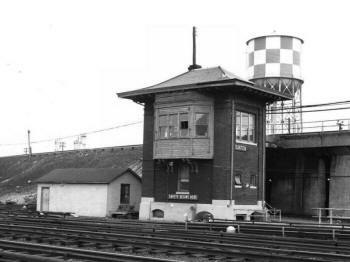 PD tower is gone - it's now 261, automatic block from PD to SK controlled by Babylon Tower.